Mr. L and I share a bad habit. We don't pick up our clothes off the floor. 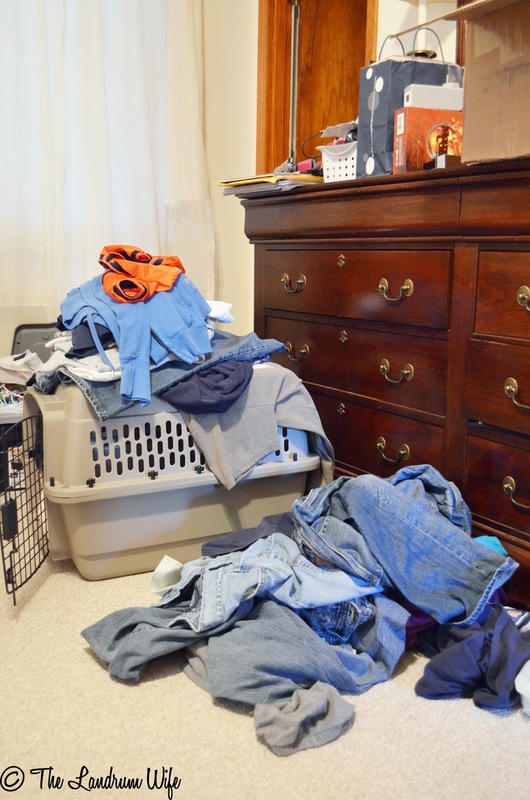 I mean, we have our moments (or rather bursts) of cleanliness when we get the itch, but normally, wherever we are, it looks like this -- messy. The rest of the clutter (books on the nightstand, giant craft box on the floor, random boxes/things on the dresser) is attributed to the fact that Mr. L just moved in with me and my parents for a month when I wasn't very "clutter-free" myself after I moved in. Things are so disorganized right now!